Donations are a vital part of the operation of the Rusk County Historical Society Museum. It is through the generous donations of groups and individuals that the museum has come to be what it is today. 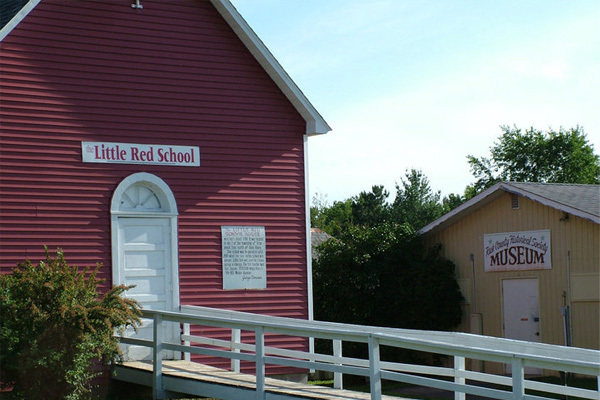 The museum accepts donations of historic artifacts and monetary donations. The Rusk County Historical Society is also in need of volunteers to assist with various projects and to staff the museum on weekends and during special events. The Rusk County Historical Museum is a non-profit organization with 501(c) 3 status and most artifact and monetary donations are tax deductible. To volunteer or donate to the Rusk County Historical Museum, please contact the Museum Curator at: 715-415-3114. The Rusk County Historical Society was incorporated in 1955 and is a non-profit organization. The objectives of the society are the discovery, preservation, and public dissemination of the history of Rusk County and the State of Wisconsin. The entire historical museum consists of ten buildings displaying thousands of donations from the citizens of Rusk County and other generous individuals to be shared with the many visitors each year to the museum. The museum also features many historical documents and burial records for area cemeteries. The museum currently houses over 9,000 artifacts from Rusk County’s past. The Rusk County Historical Museum is located at the Rusk County Fairgrounds, just off of U.S. Highway 8 in Ladysmith. Memorial Day through Labor Day or by appointment. Admission: FREE-Donations are welcome and are appreciated. To make a donation, please contact Museum Curator Janet Platteter at: 715-415-3114. *The museum is handicap accessible.